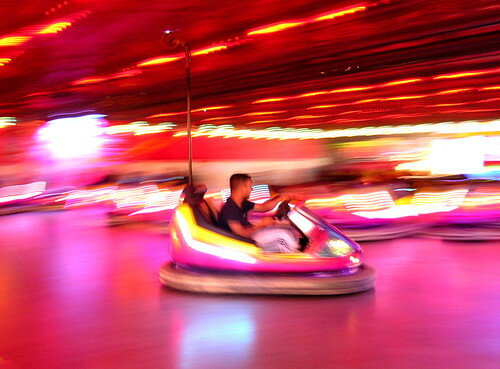 Bumper Car, originally uploaded by Dave Gorman. So as I've explained previously I've recently been experimenting with some straight forward stand-up. I've been enjoying it and most of the gigs have been lovely with a couple of exceptions but after eight years away from it I'm still relatively rusty. One of the reasons I enjoy photography is that it provides a creative outlet which has nothing to do with how I make a living and in a weird way, doing some London club gigs right now is providing a similar pleasure. There's a learning curve - or at least a relearning curve - and it's good to focus the mind in any creative endeavour, especially when that's essentially all it is. The first few I did, I'd take the tube so that I could scan through my notebook and try to familiarise myself with what I was intending to say... but after a while, when I felt a bit more secure about it I started cycling instead because... well, because I think it's the best way to get around London. Somehow cycling adds to the low-key, lo-fi charm that I'm finding so appealing in stand-up right now. I can't explain why this would be the case but there's something about cycling to gigs that just underlines the fact that this isn't about business. I know it doesn't make sense and that a merchant banker who cycles to work probably doesn't feel like his mode of transport means he isn't really a career banker... but sense or nonsense, that's how it feels. Meanwhile - and I know that some of you have noticed this already - I've succumbed to Twitter. I don't know what the tipping point was but I eventually caved in and created an account. I left it for a while but then when I looked back in I discovered I had 30 or 40 people following me and as I hadn't done anything for them to actually follow I thought I ought to either post something or delete the account. Anything but just let it fester. Whenever I think about things like this (Myspace/Facebook/etc. 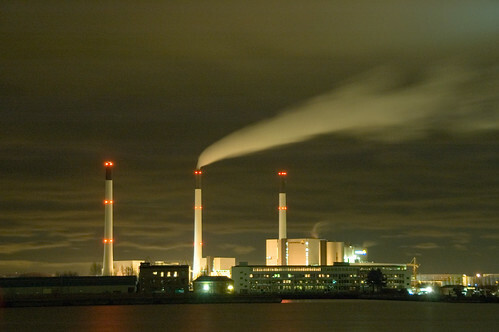 etc.) I can hear the words of one of my old head teachers ringing in my ears. I can remember sitting on the floor at Berkswich Junior School when the head said the words, "A man with more than one watch is never sure of the time." It's stuck with me. Which is odd, because if I call someone and get a message saying that they're not checking that number but that they can be contacted on some other number instead I don't think that's unfair or uncool at all. I think that's jolly helpful of them. But Myspace users don't think like that. They demand the right to contact you through Myspace and seem to believe that anything else is against nature. So I deleted my Myspace account and gave it up as a bad lot. Tom is not my friend. I was worried that I'd feel the same way about facebook but that seems to have worked out okay. 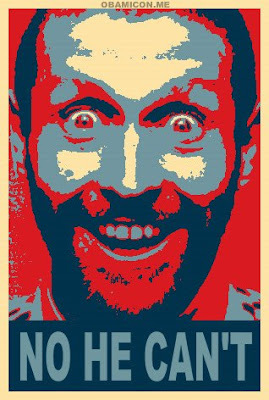 And then people started suggesting, with an ever increasing frequency, that I should join Twitter as well. To begin with, I couldn't see the merit in adding yet another site to the list. Especially one that trades exclusively in messages of 140 characters or less. Of course I might change my mind but right now it seems to me that where I at first thought that the brevity of the message rendered it utterly pointless, I now see that that is the point. It's what makes Twitter different to other sites... it's why this is a blog and that's a... micro-blog. But even more than that, after cautiously enjoying it for a couple of days, this evening Twitter was briefly bathed in a very positive light. So this evening I was doing a gig in Shepherds Bush. So I popped on my helmet, lit up all my little lights and cycled across town. Now I think I'm a pretty safe cyclist. I think the key to cycling in a busy city like London is to never assume you're safe just because you have a right to be... you have to take responsibility for your own safety. So I look ahead. I assume drivers are going to open their car doors without looking. I wait at roundabouts until I have eye-contact with the drivers around me - proof that they know I'm there - and so on. As I cycled past his open window, he was studying his phone, looking like he was about to make another call so I yelled, "Oi... you nearly killed me back there when you were on your phone." Realising there was nothing to be gained by prolonging the exchange, I then cycled on my way. When I'd locked my bike up, I decided it was worth sending a message via Twitter about the, erm, incident. Partly to let off steam and partly because I'd sent a tweet (I know... but we'll all get used to it) saying I was about to cycle to Shepherds Bush before I'd set off. So, in less than 140 characters I explained that an idiot in a Jag had nearly knocked me off the bike and wondered whether it was reasonable or not (or indeed allowed) to publish the number plate which was still etched in my memory. Only I'm a technological idiot and being online on my mobile phone still seems like magic to me so I couldn't work out how to see any replies until I got home after the gig. So I did the show (nice enough, made some new things work, missed out a couple of things I'd intended to do, but all in all, a good experiment) and cycled home. Where I discovered a chorus of people encouraging me to name and shame him. Or at least his number plate. Only by now - a few hours after the incident - my memory had faded a little and I was no longer 100% sure of his reg. So I posted something saying that I thought it was P16NAL but that it could have been a 17 instead. And here's the thing that made me think Twitter really does have something special going on... within a few minutes someone had replied saying that they'd checked the licence plates out (I still don't really know how) and that P16NAL did belong to a green Jag. As somebody else commented almost immediately - that's like being in an episode of Spooks. So... yeah... in conclusion, cycling's ace, Twitter seems lovely and if you're the Jaguaranus P16NAL ... well, I didn't wait around to see if you were in the mood to apologise or not but I'll assume you were and I'll accept it... just so long as you promise to turn your phone off when driving in future. You dangerous numpty. It was Burns Night last night, it's Australia Day today and the Chinese New Year starts today too. To celebrate all three, why not find an Australian friend and give them a Chinese burn? 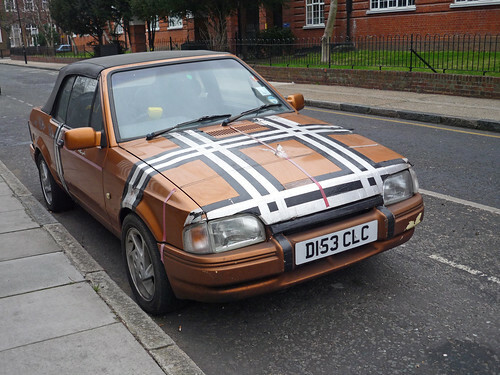 To The Burberrymobile!, originally uploaded by Dave Gorman. 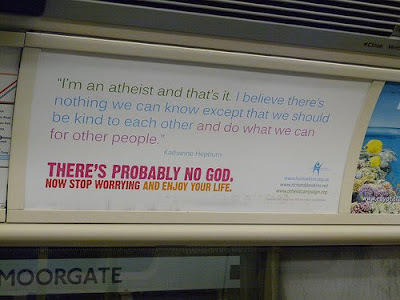 I've been enjoying the Atheist Bus Campaign (which is on tubes as well as buses. I saw the ad pictured at Moorgate the other day). They make me smile when I see them... which seems to me to be all they're really intended to do. For those who don't know, they were proposed as a whimsical notion by a writer called Ariane Sherine in an article on the Guardian website. (I ought to point out that I know Ariane. Not especially well - but she does beat me at online scrabble from time to time). Anyway... the idea for the ads came as a reaction to seeing some Christian adverts on buses that, while innocent in and of themselves, contained a url for a website that told anyone curious enough to look it up that they would spend all eternity in hell if they didn't believe in God. Criminy. The whimsical notion became a reality as readers got behind the idea and said they would donate money towards an atheist ad. Instead of one bus ad, they raised enough money for 800. I like the ads even more for being the result of people power. Anyway... in today's news I see that a Christian bus driver in Southampton has refused to drive one of the buses which carried one of the ads. The company he works for have been very understanding... which is genuinely very nice of them... but I can't help wondering whether they would have been quite so understanding if one of their atheist bus drivers (of which there must be many) had refused to drive a bus with the Christian ads because it offended his or her sensibilities? If you step back from the issue and afford both views equal respect it seems to me to be abstractly more offensive to threaten people with eternal damnation than it is to recommend they enjoy their life. One contains only a positive message and the other... well, it's a threat. What if a teetotal driver refused to drive a bus that carried an advert for alcohol? What if their teetotalism was a matter of faith? What if a Jewish bus driver refused to drive a bus which was advertising pork? Sad that it took news of P.McGoohan's demise to remind me of this great tune... you've got to love Ed Ball. Pumping Station, originally uploaded by Dave Gorman. You can learn a lot from subtitles. In Stockholm at new year I caught a not-very-good American sitcom on my hotel TV that had Swedish subtitles. 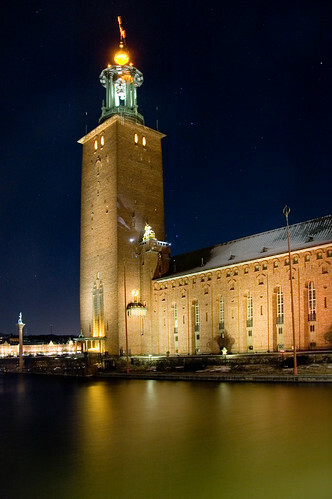 I was delighted to learn that the Swedish word for 'corduroy trousers' is 'manchesterbyxor'. It must be to do with the city's history of cotton mills - I believe that in Australia bed linen is often referred to simply as 'Manchester' - but even so, it's a most unlikely word to discover in the Swedish lexicon. This time I learned that the Danish words for 'oops' is 'ups'. Which must be good news for Fed Ex. I've been away for a week to start the year. 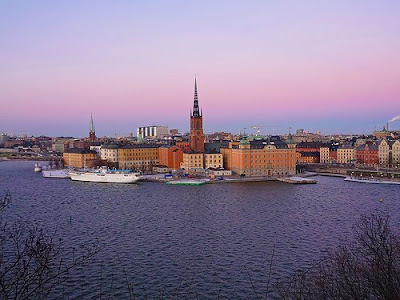 I spent a few days in Stockholm with some friends who organised a most splendid New Year's Eve before heading to Copenhagen for a few days alone from where I also took a day trip to Malmo. I've eaten well, read lots and taken hundreds of photos. I decided not to take a laptop and to go without the internet for a brief while also. I thought I might regret that decision. I didn't. It felt good to cut the cord. Of course I now have a few thousand e-mails to read and a load of other things to attend to... but that's okay. I feel relaxed and unrushed by life. Hello 2009. Of course the first thing I need to do - and that I highly recommend you do also - is mosey on over to the Steve Lamacq page at the 6Music website and cast a vote to get Helen Love's Calm Down Dad on the rebel playlist (You have to scroll right down to find it.) Go on. You know it makes sense. I don't know if I was just unlucky with Copenhagen - and I am aware that January isn't the best time of the year to be visiting that city - but the sky was permanently grey and the place had a somewhat dour edge to it. Stockholm might have been colder but it had crystal blue skies and Malmo - only a 30 minute train ride from Copenhagen - was similarly blessed. In fact, having spent just one day walking around freezing cold Malmo, with the sun bouncing off the frozen edges of the Øresund (or Öresund depending on which side of it you hale from) I ended up with a sun-burnt brow and frost-burnt thighs. The only thing that got burned in Copenhagen was my wallet. Still it was really some solitude I was after and I'd packed a load of books to keep me company. I can highly recommend God is Not Great: How Religion Poisons Everything by Christopher Hitchens. (Obviously I trust a lot of people will see the title and know it's not for them... although, y'know, it is good to challenge yourself sometimes.) Anyway it's really energised, funny and full of righteous indignation that means it really zips along. And if a book about the lack of God doesn't appeal then a book about a man who thought he was God might. The Damned Utd by David Peace is a novel (the book describes itself as "another fiction based on another fact") about the 44 days that saw Brian Clough as manager of Leeds United. He makes for a fantastic protagonist; proud, self-possessed and yet fragile and haunted. I love the chutzpah of taking on such a slight slice of life and I found the repetitive use of language beautifully hypnotic. Fabulous. Right. I've voted for Helen Love. Now I'd better read some of those e-mails.